This is the summary of consumer reviews for Electrohome EAKAR300 Karaoke CD+G Player Speaker System with MP3 and 2 Microphone Inputs. The BoolPool rating for this product is Very Good, with 4.20 stars, and the price range is $69.99-$102.95. 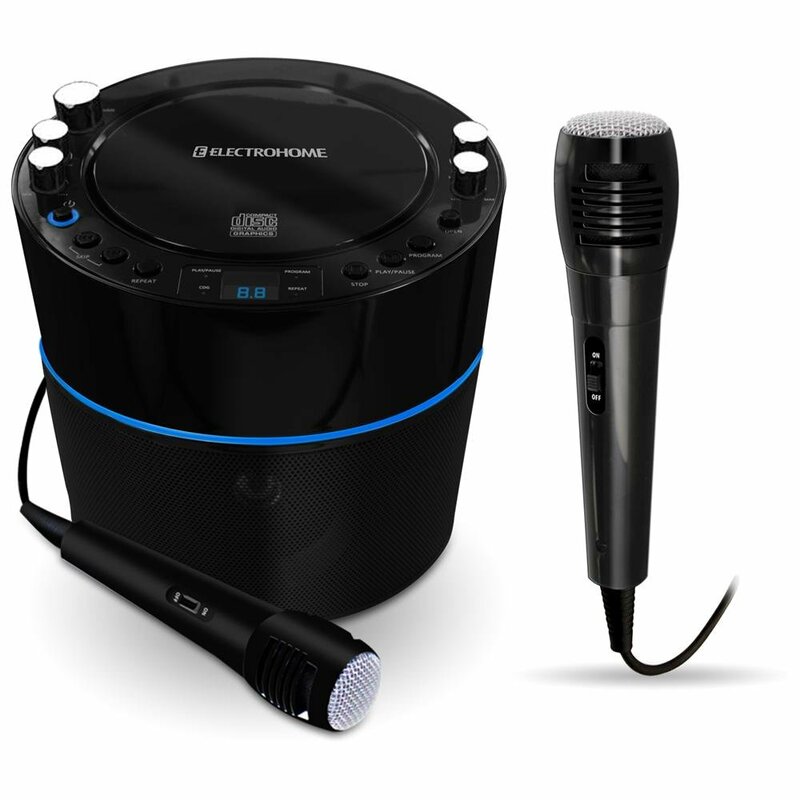 The Electrohome EAKAR300 Karaoke CD+G Player Speaker System with MP3 and 2 Microphone Inputs is a stylish karaoke machine that really works well and comes at an affordable price. This compact player with electrifying blue party lights adds more fun and music to any party. Now you can sing like a professional using high performance speakers and AVC Singing Coach that provides vocal back-up to help you learn the words. 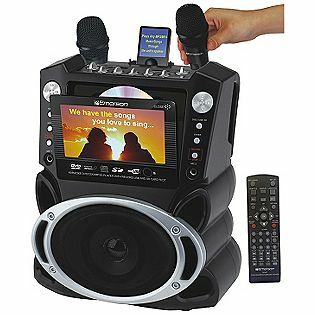 All you need is a TV to display on screen lyrics and this karaoke machine takes care of the rest. 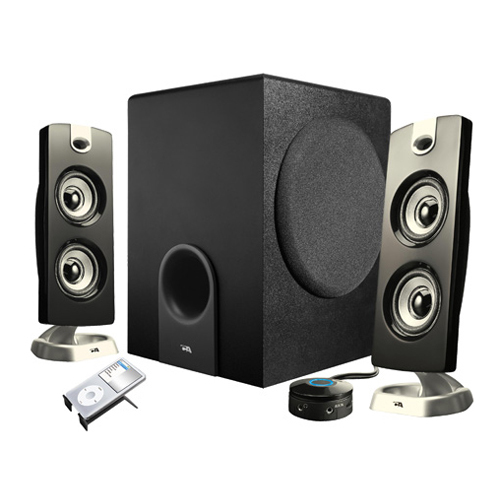 Overall, the Electrohome EAKAR300 Karaoke CD+G Player Speaker System is highly recommended by reviewers and makes a great gift on various occasions. 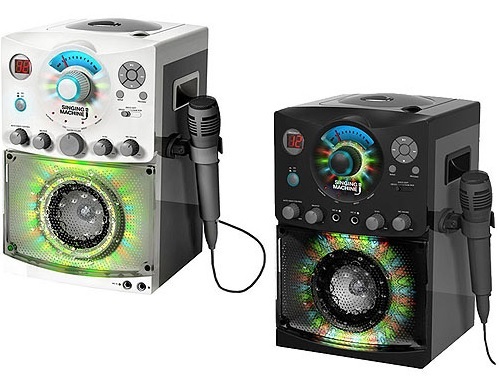 This karaoke machine is sure to bring the fun and happiness wherever it is placed at. It is really easy to hook up and get a hang of this. Enjoy hours of sing along fun. And yes, anyone can be a star! This karaoke machine works great. it worked fine the first and second time we used it and then stopped working. This machine is very cute, small compact and works well. Bought a couple of Karaoke disks and it works great with the machine and TV showing the words. Works for the time being. it worked fine for about a week and then stopped reading the disc. This karaoke machine seems to be working well a few days out of the box. One problem - when we plugged second microphone it, it isn't working right, only sporadic sound, although the mic works fine with our Wii Sing (it's not a Wii microphone, just a standard one I bought), so not sure if this Karaoke only works with certain mics? This player definitely works well and suits our purpose. This Karaoke machine worked as expected. Our family really enjoys this karoake machine! Great machine for the price. He really wanted a machine with two speaker ports. Bought this machine for my mom's birthday. This machine meets expectations as advertised. First time getting a Karaoke machine. I look forward to enjoying this machine with the "grands"! Bought this for my daughter for Christmas, it was easy to set up and sounds great! My daughter picked this out for her 5 year old twins daughters for Christmas. I ordered this Karaoke machine for a christmas gift for my daughter. Got this for my daughter's Christmas present. I got this for my daughters for Christmas. we got the electrohome kareoke machine for our daughter for christmas. Can't wait to give to my daughter Christmas morning. The sound quality is great. Got this for a Christmas gift. Now it works fine and my daughter is quite happy - the features, sound, etc. are really quite nice. I bought additional CD's and do have occasional problems getting cD's to snap into place. Just plug it in, connect three color-coded cables to your TV (pretty much any TV made within the last 20 years will have the right connections), put in a "CD+G" (that's the format of the CD disks), and it's as easy to operate as any portable cd player. I haven't yet used a separate CD+G but the system works great and the kids love it. Came with 1 included CD with a few popular songs on it. But, a Performance Track CD plays a bit faster in this unit, as I tested a song from an album, and then a separate performance CD of the same song. Able to play other cd on it without any problem. It's adjustments for echo and mic vs CD, so she can experiment with how her voice sounds. I do wish it came with a cd. I purchased the 80s CD. 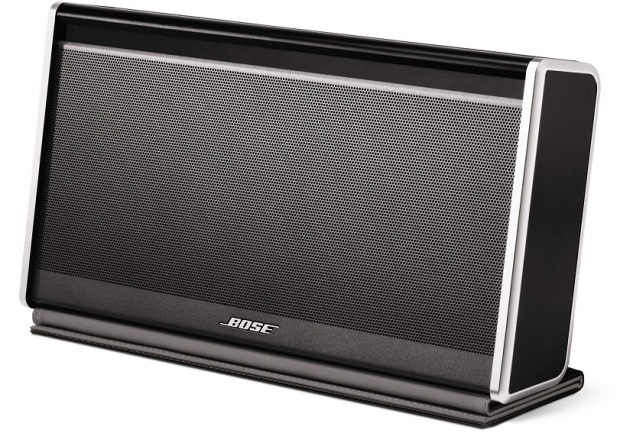 The sound is pretty good, easy to use and hook up.